UPDATE: The jury has reached a verdict. FULL STORY HERE. This is a developing story. Follow the link for all updates. KINGSTON, Ont. - A jury in eastern Ontario has decided the fate of three Montrealers accused of killing four family members over honour. The jury reached its verdict on Day 2 of deliberations, after 15 hours. 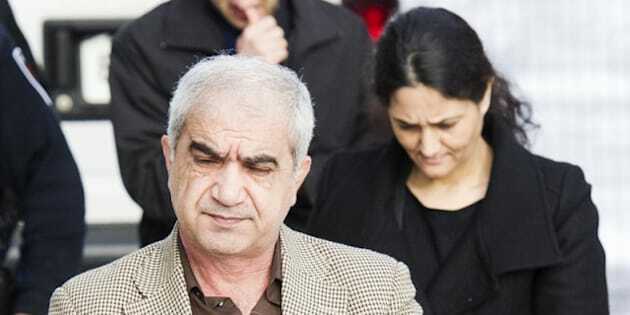 Mohammad Shafia, 58, his wife Tooba Yahya, 42, and their son Hamed, 21, originally from Afghanistan, have pleaded not guilty to four counts each of first-degree murder. They're accused of killing Shafia sisters Zainab, 19, Sahar, 17, and Geeti, 13, as well as Rona Amir Mohammad, 52, their father's childless first wife in a polygamous marriage. The Crown alleges the three sisters were killed because they would not comply with their domineering father's strict code of conduct. Judge Robert Maranger told the jury on Friday they can reach different verdicts for the three accused, and that the options available to them are guilty of first-degree murder, guilty of second-degree murder or not guilty.